Culture is critical to individuals and organizations. This book takes a close look into the way Indian managers work, their inner struggles, and forces that shape their behaviour. It presents an original framework developed by the author — the Existential Universe Mapper (EUM), a pluralistic and non-reductionist model of management that uses a new psychometric instrument to map individual and organization identity. The model restrains from placing any phenomenon into frozen categories and enables an understanding of their interplay. 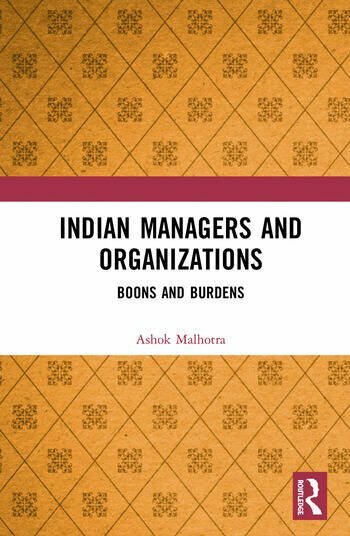 The volume points to India’s ambivalent relationship with modernity, and the consequent difficulty of Indian managers in embracing the imperatives of the corporate world that are largely based on Anglo-Saxon frames. This book will be of interest to those in business management, human resource management, leadership studies, corporate governance, industries, education, social sector, governance, psychology, and sociology. It will be particularly relevant for scholars, educators, consultants, practitioners of management and corporate leaders. Ashok Malhotra is an independent management consultant based in Bengaluru, India with nearly five decades of experience of working with individuals, groups, and organizations in the areas of personal growth and organization development. He is one of the founders of the Sumedhas Academy for Human Context, and has published books, several articles in professional journals, and presented papers in many national and international conferences. His earlier book Child Man: The Selfless Narcissist was published in 2010 and has received acclaim.